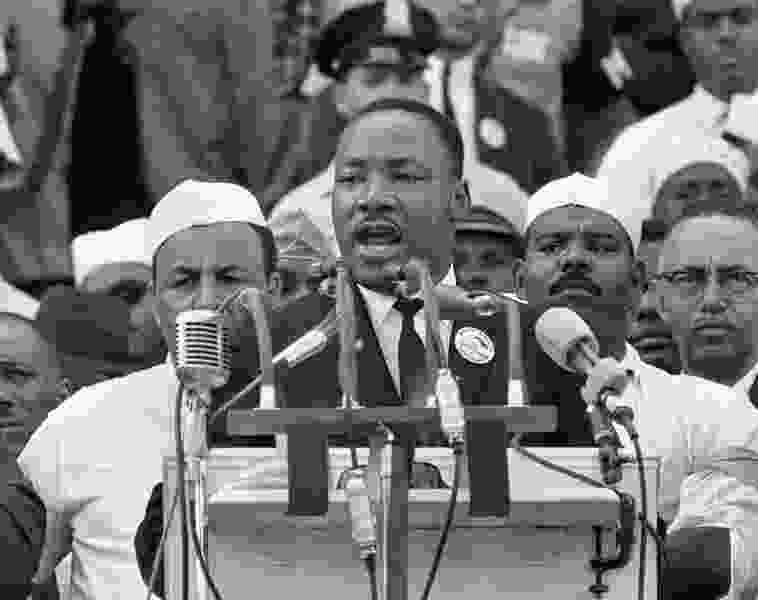 Across the country, people are fusing beyond political lines of difference under a common vision shared by Martin Luther King Jr. 50 years ago: to challenge the policy violence that corporations, institutions and “elected” officials are waging against our communities through systemic racism, poverty, the war economy, ecological devastation and a distortion of what is right and wrong. The Poor People’s Campaign: A National Call for Moral Revival has launched a yearslong campaign to expose the truth and build a nonviolent army of people willing to take collective action. I was drawn to this campaign as someone who has directly experienced the effects of policy violence. My parents, like many others, were lured by the American Dream, further spread by young Mormon missionaries who converted them in Spain in the 1980s. Young, poor and with faith that things would work out, they packed up our little family and headed to Utah when I was 3 years old, in 1991. With little understanding of the country’s complex immigration system and no money for a lawyer, we started our life as undocumented immigrants when our tourist visas expired. As a child, I noticed how unfair the world around me was. My parents were always stressed about money. My mom worked three jobs. My dad struggled with unemployment when they took away our driver’s licenses. I witnessed my Muslim friend get harassed after 9/11, and a friend from Panama suffer through her mom’s deportation. I saw people take advantage of my parents because of their accents. At church, they said, “Good people are blessed.” We must not be good people, I thought. It filled me with shame, poisoning every part of my life. It wasn’t until about 10 years ago, when young people across the country came out of the shadows as “undocumented and unafraid,” risking arrest by marching in the streets and sitting in at legislative offices, that I woke up to the truth. Through their stories and my own experience, I realized we are all being abused and dehumanized, directly and indirectly, by an economic and political system built and run by a small percentage of people amassing power and wealth by any means necessary: war, poverty, racism, lies. We’ve fallen for the lies, and it’s broken us apart, even though we are living the truth. Put your feet on the ground, turn off your device, lift your head, open your eyes and look around: Are you always tired and sick? Can you afford good health care? Do you have safe and stable housing? Are you buckling under debt? Does your job pay you a living wage? Do you have time off to spend with friends and family? Do your kids have access to good, free education? Are you breathing bad air and drinking poisoned water? Are you affected by the increase in extreme weather? Are you being discriminated against because of your race, ethnicity, sexuality or immigration status? And if you’re OK, how’s your neighbor? What’s happening to us is not our fault. Our mere existence is deserving of dignity, respect and a basic package of human rights that no government can take away. The Bible claims “the truth shall set you free.” It’s time we all get free. 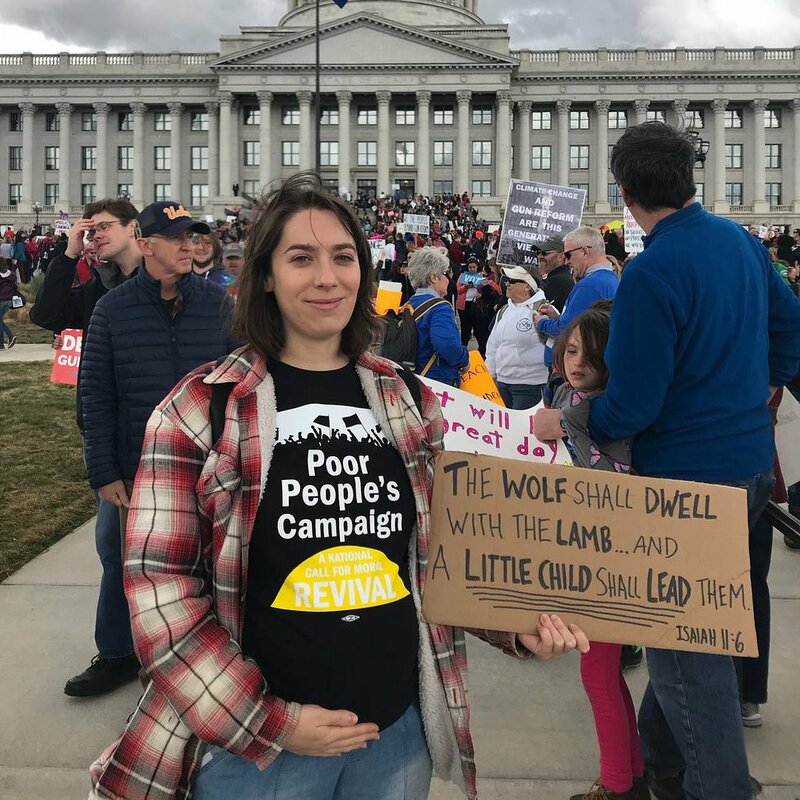 Monday at 11 a.m., the Utah Poor People’s Campaign is headed to the People’s House — the Utah Capitol — to deliver our demands as elected officials begin the legislative session by attempting to repeal the people’s will: Medicaid expansion. We’ll sing and share our struggles and hopes, then join the Rally Against Repeal at 3:30 p.m.
Say it with me: We are a new and unsettling force for liberation and we are not afraid, because we are powerful and we know why we were made! Esther Meroño Baro is a Salt Lake resident, a new mom and a community organizer.